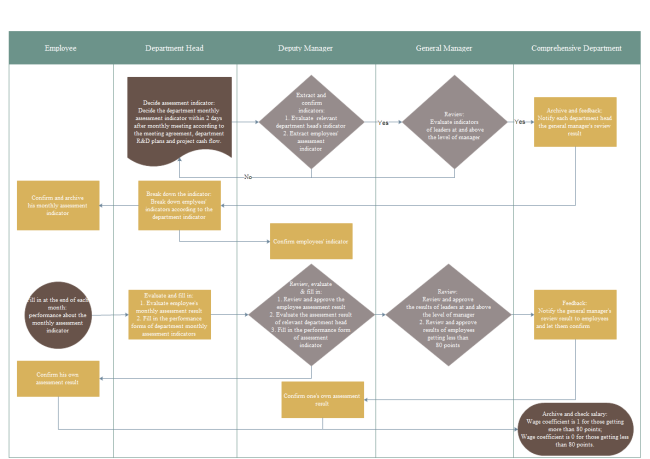 Description: A free customizable performance assessment flowchart template is provided to download and print. Quickly get a head-start when creating your own performance assessment flowchart. The abundant built-in shapes and easy-to-use tools make Edraw an awesome software to make presentation-quality flowcharts.